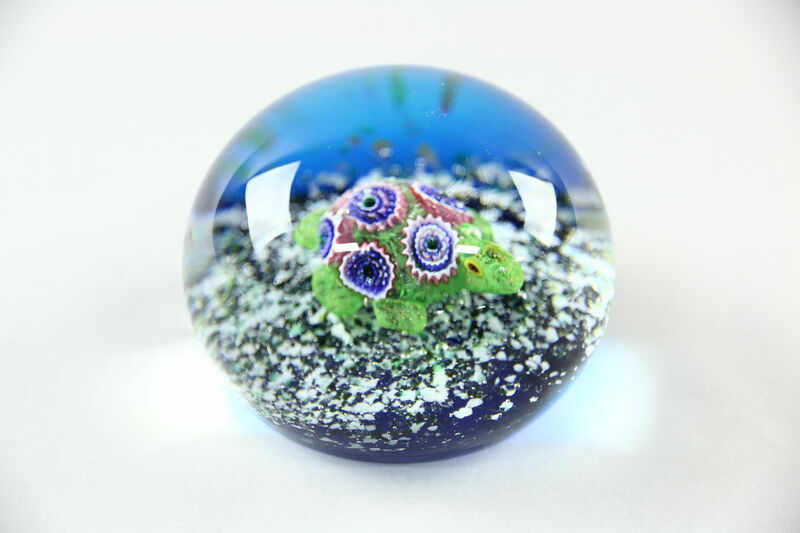 A blown glass millefiori paperweight with a turtle is signed, "Schmid, Italy." There are very minor scuffs and some tiny flakes or chips at the bottom edge. Size is 3" diameter and 2 1/4" tall. USPS Shipping is $7 in they US.